A beauty blog from the 2008 batch. Blogging before it was 'cool'. Have you heard of it before? I hadn't too actually. It is a natural ingredient rich in fatty acids and is being used in skincare more often now. It has anti-ageing properties, has the ability to absorb UV rays providing protection from the harmful rays of the sun. Moreover it is also known to minimise acne, scarring, rosacea and stretch marks. 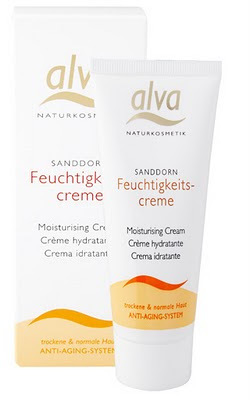 Alva Natural Skincare use Organic Sea Buckthorn in their Sanddorn range of skincare products. Because of its properties, it is targeted towards more mature consumers however those of you who luckily have normal to dry skin can easily get away with this to improve elasticity and the overall texture of the skin. They make a gorgeous Skin Oil which I absolutely adore. It is quite light in texture and consistency and a few drops is all you need to completely hydrate your face. 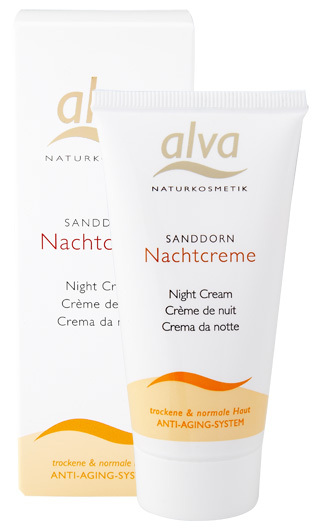 I use this as a night moisturiser to hydrate my skin completely and I wake up with a glowing complexion in the morning. Because this is light in texture compared to other face oils, it does not break me out and I can use it as often. I also like to massage this on my fingers as it helps to heal the cuticle area pretty well. 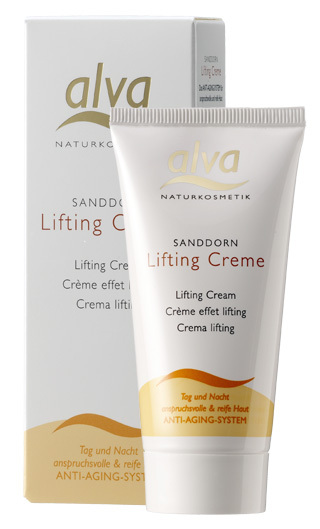 What I have also tried from their range is their Hydrating Fluid, Moisturising cream, Night cream and Lifting cream. I am not a fan of their moisturising cream as it does not hydrate me enough. Maybe this would be suitable for those who of you who want a light everyday cream. I however am a fan of their Hydrating Fluid, Night cream and Lifting cream. They all are yellow in colour and have slightly thick texture to them and a herbal smell which is inoffensive really. I like their thick texture as you only need a bit to cover the face and neck area. They hydrate my skin really well, are quite rich which means they provide enough moisture to the skin that lasts all day. I am not a fan of dry skin peeping out of my make-up, so I really prefer to wear a rich moisturiser before doing a full face. 'Sanddorn Hydrating Fluid combines the dual benefits of organic sea buckthorn in conjunction with the renowned anti-ageing benefits and nourishing power of Royal Jelly.' This is an absolute life saver when I am suffering from dehydrated dull skin. Overall I would recommend the products I tried and am really please with them as they did not break me out although I have the weirdest combination skin. 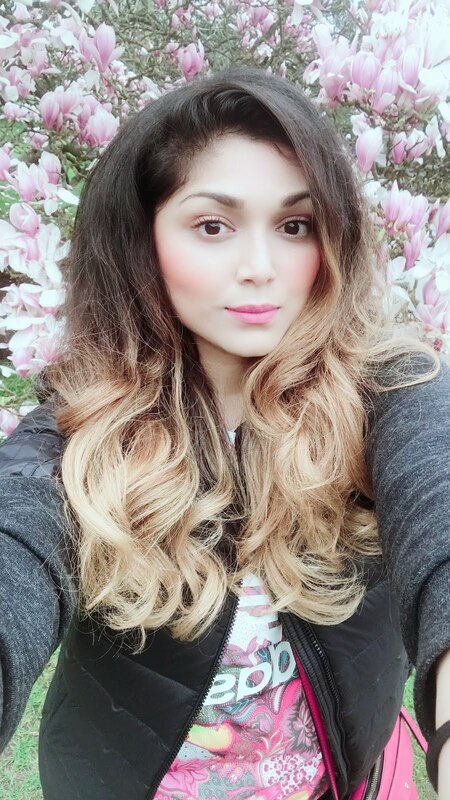 I used the Skin Oil as a night time treatment, the Hydrating Fluid for days when my skin needed an extra boost and a mixture of their Night Cream and Lifting Cream as a daily moisturiser. They are quite hydrating and would work very well on mature/dry skin types. My personal favourite would be the Hydrating Fluid with Royal Jelly which I will purchase. I am very fussy with my moisturisers but this one is quite impressive. So glad you have found these product too, I love this range! Thanks for this review! Im so addicted to skin oil. Im gonna try to get this. Sheefa. 29. London. Spamming the web with ramblings on hair, eye shadow, skincare & cosmetic hoarding in general since 2008. Grab a cuppa and kick back!